Bovada welcomes players from the United States. When it comes to finding an American sports betting site that has a great reputation and has provided a high level of service and betting options for punters, you have to say that Bovada is one of the best sites for American sports betting fans. It focuses on all the major leagues in North America and it is even licenced in North America, by the Kahanawake Gaming Commission, so if you are looking for a site that provides you with confidence, Bovada should be at the top of your list. Online betting in the US has never been straightforward but through all the strife and difficulties, there were a few names that managed to deliver a consistent and reliable service. The Bovada name is one that is instantly recognised as being a sports betting (and gaming) provider that offers a high level of support and assistance to punters who love betting on the major US sports. Over the years the site has evolved, offering a far wider range of betting options, including live betting, but at the core of the site is the focus on the main US sports, and this is always going to be the case. With 17 sports listed on site (and entertainment options), you can’t make the argument that Bovada is the most expensive of sports betting sites but that isn’t the case or point of the site. the live betting options provides many more sporting bets but in reality, the site provides all of the sports that users have an interest in and will want to bet on. Occasionally it can be fun to check out the lacrosse options but when a site provides a massive array of sports to bet on, the vast majority of options are there for novelty purpose or to allow the suite to boast about the range that they offer. 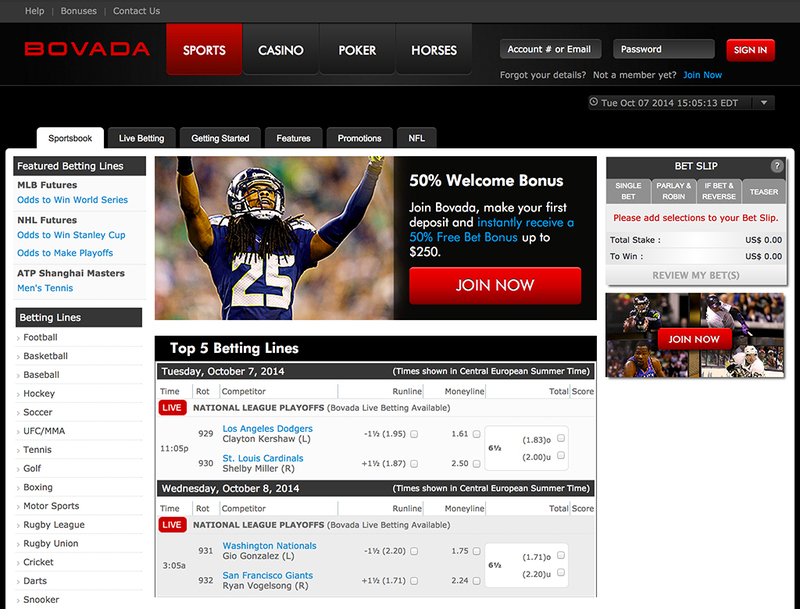 In reality, Bovada focuses on the core sports and it provides an uncluttered and easy to use service. As you would expect from a site that has such a focus on US sports, basketball is extremely important. Even during the NBA off season there is a great range of betting options and if you love the Futures market, you will find plenty on offer. 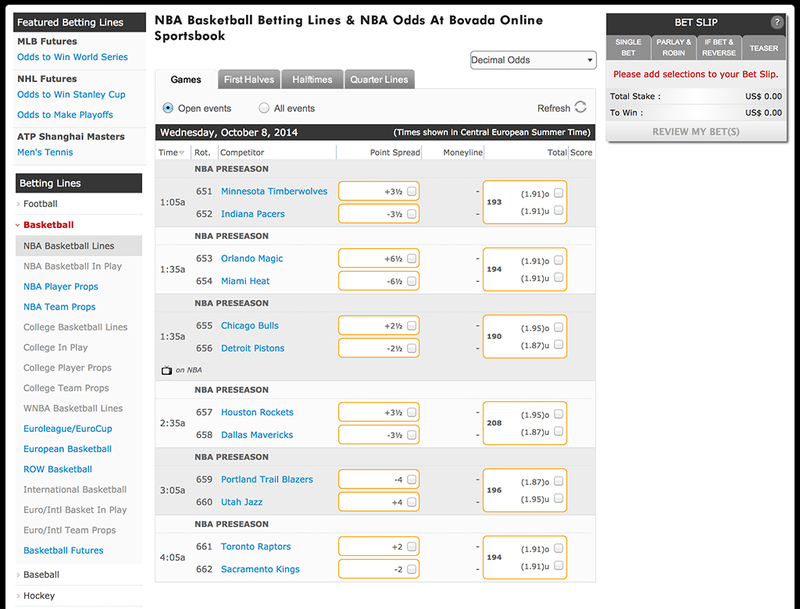 You can bet on who will win the Championship, who win the Conferences and even who will win the individual Divisions so even in the of-season, Bovada probably offers more betting options that some sports betting sites will offer in the heart of the NBA season. The site is also serving up Future bets on the 2014/15 NCAA, with Kentucky and Arizona regarded as the favourites for this title. While the focus of Bovada is clearly on America, there is still a focus on life outside of the US. The site provides a range of European and Rest of the World basketball options, so if you are looking to place a bet on a basketball match from anywhere around the world, this site will provide you with the platform you are looking for. The Bet Slip on Bovada is really easy to use and you will see that it offers a number of Tabs. You can choose a Single Bet, Parlay & Robin bets, If Bet & Reverse options and there is also a Teaser bet option. No matter what sort of bet you look to place with Bovada, they are here to help. The site offers an-depth review and examination of these different betting types so if you need more advice, you are recommended to check out what they have to offer. What you should be aware of is if you are looking to place Parlay bets on basketball, this is one of the most effective sports betting sites you will find. Given that Bovada provides a wide range of basketball betting options, and a strong number of games, there will never be a shortage of basketball matches to bet on so if you are confident about picking a number of winners, Bovada is the ideal place to put Parlay bets on for basketball games. The Bovada welcome bonus is a 50% matched deposit bonus, available up to a value of $250. This means you need to deposit $500 on your initial deposit to earn the full value bonus. If you are using your bonus on sports betting, the wagering requirement is set at 3 times, which is a strong option for players. The minimum deposit to be eligible for the bonus is $20. When you land on the Bovada site, your eyes will be drawn to the red Sign In tab at the top right hand corner of the page. If you don’t yet have an account with the site, you will find the join now option just below this tab. Clicking on this link provides you with the opportunity to fill in your details which will create your account for you. From here it is a simple process of adding funds to your account and then enjoying what Bovada has to offer. 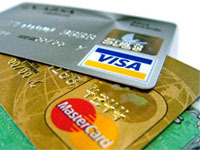 There is an abundance of ways in which you can deposit funds into your Bovada account. It is also possible to place funds in via £, $ or €, which means you don’t have to worry about losing out due to fluctuating currencies. For Rapid Transfer, the minimum deposit is $100 and the maximum deposit is $800. There is a fee of between $12 and $20 for using this service but users that deposit a minimum of $300 will find that Bovada reimburses their fee. For Rapid Transfer, the minimum deposit is $100 and the maximum deposit is $800. There is a fee of for using this service but again, any users depositing a minimum of $300 will have their fee reimbursed. Checks are processed in $300 increments and are sent every 5-7 business days. Each check sent will incur a fee. For withdrawals made by Rapid Transfer, the minimum amount is $100 and the maximum amount is $750 for a single transaction. There is a fee payable on all Rapid Transfer withdrawals, ranging between $20 and $60, depending on how much money is being withdrawn. Bovada remains one of the leading names in the US sportsbook market and this is unlikely to change at any point in the foreseeable future.